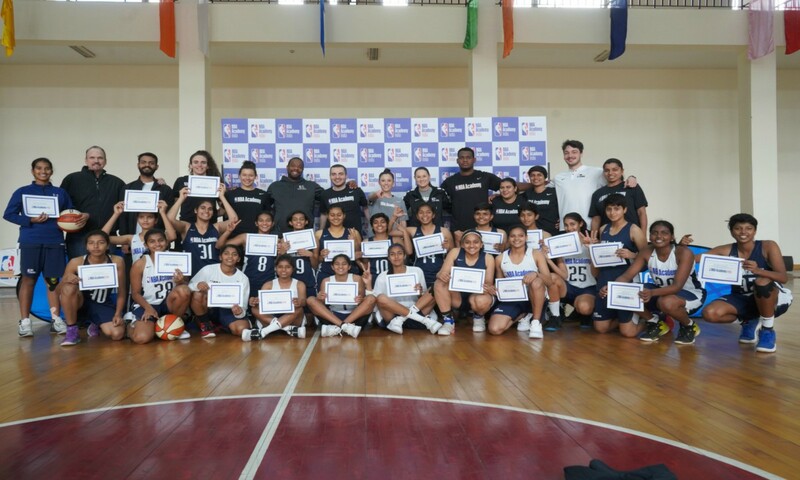 Friday, January 25th: The second NBA Academy India Women’s camp concluded today at the NBA Academy India today. Ann Mary Zachariah from Kerala, a student of Mount Carmel School, Kottayam was adjudged as the Most Improved Player of the camp. Grishma Niranjan from Bengaluru was announced as the MVP for her exceptional skills exhibited during the four day camp, and for her performance in the championship game. In the first camp held last year, Grishma won the Sharp Shooters Award. Siya Deodhar from Nagpur, who was awarded the Most Improved Player in the last edition, won the Best Teammate Award this year. Punjab’s Harsimran Kaur was named as the best Defensive Player. Khushi Dongre from Maharashtra, who had won the Best Teammate Award last edition, took home the Coaches Award in this edition.